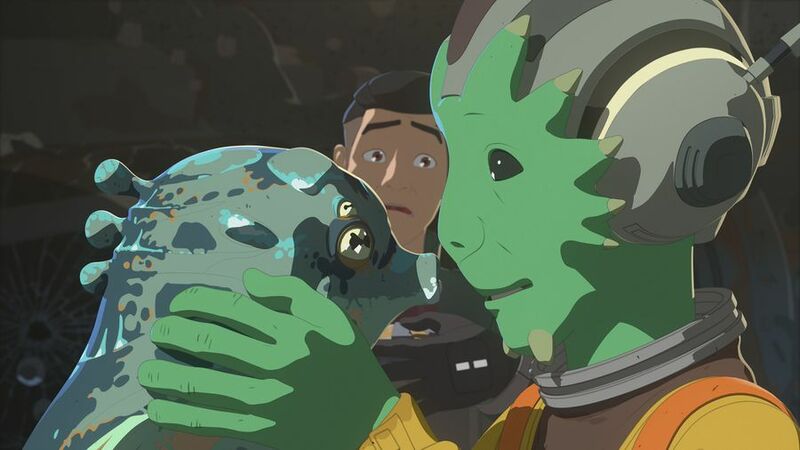 While the mid-season return of Star Wars Resistance may seem like a cute throwaway episode, “Bibo” does something more important other than give Neeku some time to test out his dramatic chops. It serves as a 22-minute team building exercise where we get a round-up of who some of the good guys and gals are on the platform, and who will be Team Kaz heading into the final 10 episodes. An example of this is in the just released mid-season trailer, it all but gives away the plot of this episode revealing that Bibo is a small sea creature who is separated from its mother, and she’s pissed. And when Bibo runs away from his adoptive parent, Neeku, we get to see a lot of the characters we’ve met along the way so far. We see the return of characters such as the Chelidae, the Tehar kids Tel and Eila, Jace Rucklin and we get more of Synara San. Point is, while Neeku’s exploits are fun, it’s not the point of this episode. 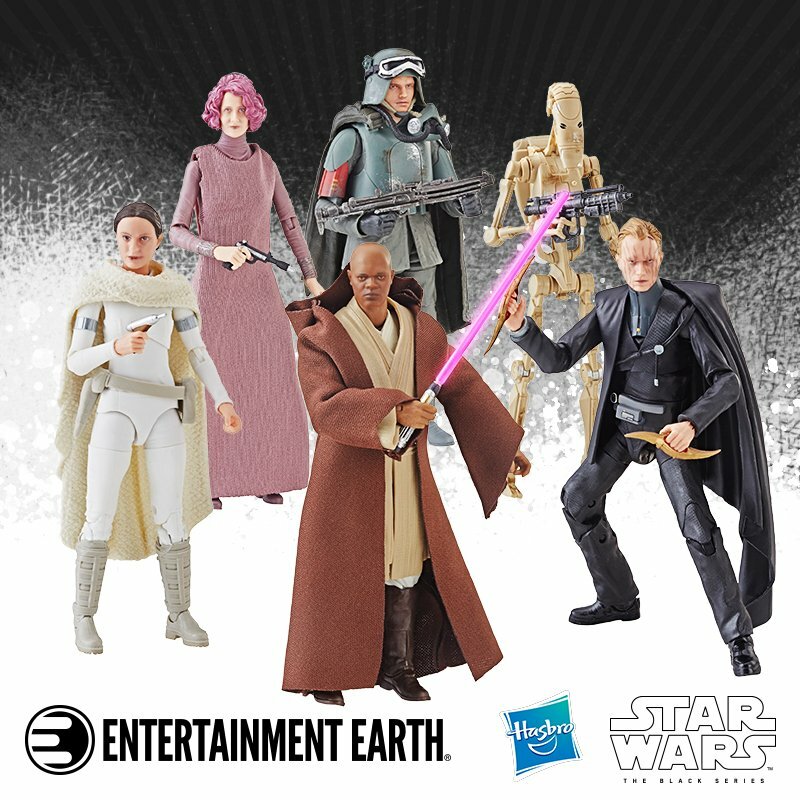 The trailer indicates an action-filled second half that involves the First Order assuming control of the station. 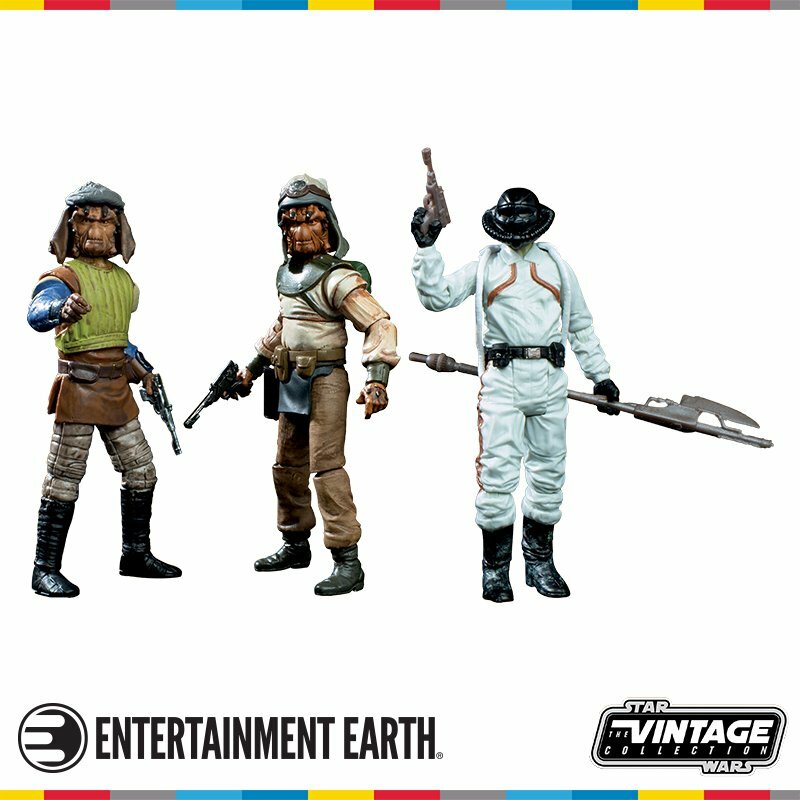 It looks like it’s up to Kaz and his friends to fight and take back control as we head face first into the events of The Force Awakens. So, episodes like this will test their emergency preparedness, teamwork and most importantly their resolve, as things are likely to get a lot dicier. Facing these challenges now will strengthen the bond between Team Fireball and the citizens on the station as they will no doubt be left to their own defenses once the First Order arrives. There are of course a few wildcards, Jace Rucklin still has a planet sized grudge against Kaz and although we’ve got a pretty strong indication, Synara has yet to officially pick a side. And most of all, there is still the issue of Captain Imanuel Doza and his Imperial past. So far, he’s shown a willingness to oppose the First Order on many issues but when push comes to shove, what choice will he make? Would he sacrifice Kaz and the Resistance to save his daughter and the station? As for the episode itself, the plot is quite simple. While pulling up wreckage form the ocean, Kaz, Synara and Neeku pull up a little sea creature along with it. He’s smelly and disgusting and Neeku absolutely loves him! He takes the creature on as his pet, names him “Bibo”, and they go back to the shop. There the creature annoys and eats just about everything in sight, including poor Bucket. And finally, when Yeager has had enough, he orders Neeku to get rid of his new pet. To the surprise of everyone, Neeku also leaves in protest, citing he’s asked for Yeager for nothing and in return just wanted a friend. Tam goes after Neeku and together they go all over the station looking for Bibo who ran away. It’s here we see all the characters mentioned earlier as they interact with them in their search. When their search brings them to the Engineers down below, Tam gets to meet the children from Tehar, Tel and Eila. Eila expresses fear that danger is indeed coming, through a premonition she had, and that Bibo is the reason. This is a gift I’m sure will be exploited by the writers later as things get more serious, and Eila’s foreshadowing likely means more than just creatures from the deep. Turns out she was right and what she feared would happen came in the form of Bibo’s mother who happens to be twice the size of the entire station! Think a Kraken type monster. When the mother does come looking for her child Captain Doza scrambles the Aces to fend off the giant beast who is laying down heavy damage to the platform. To warn the entire station, who is a little numb at first, Kaz gets the idea to set off the “pirate alarm”, something Synara takes a note of and a little detail that I’m sure will come back later. At first, they think the giant beast is there looking for food but when they realize her true intentions, Neeku sadly hands over Bibo and the worst is over rather quickly. Will this friendship Neeku has with Bibo and his mother pay dividends later? It sure would be helpful to have a creature of this size in your corner when you need one and from the looks of the trailer, we’ll see momma again. Aside from all this, the show does have the business of keeping the overall narrative going so we get a couple of scenes between Synara and Kaz, where she’s cautious of his true intentions. She receives intel from Kragan that may uncover who Kaz is and why he’s on Colossus, but she isn’t totally convinced yet. The two go our salvaging and she calls him on it, but before she uncovers the truth, Bibo’s mother shows up, creating much bigger issues. Kaz’s mission is safe for now but this is something they have in common, keeping secrets, and something I’m sure will strengthen their bond when the time comes. Like I’ve said before, all these players are here for a reason and each have their own stories to tell. While the paths that got them to Colossus may be varied, they will soon have the common goal of defending their adoptive home. So that’s what this episode says to me, it says they are willing to fight for each other and fight to defend their home. Kaz’s parents will die soon, that much is certain, and that means all of them are orphans and each other’s family now, and that is what great Star Wars stories have always been about. For me this episode ranks low overall because Neeku, as a character, is one of my least favorites. Most of the time it’s just him being weird so that doesn’t do it for me. As the show progresses, hopefully, we get more out of his backstory, something that could resonate. But for now, he’s mostly a plot device to teach someone else a lesson about friendship and honesty. We did get to see Synara though and Tam so that more than makes up for it and I really like angling in the children from Tehar, Kel and Eila. If they have some special foresight abilities, that would be very cool and handy also! The Aces again were too brief for a show that’s about flying but from the looks of the trailer, there’s a lot more in store this season. Sounds like Kaz will once again find something out about the First Order by happenstance. Whoever this “shady alien” is and what he or she is doing on Colossus we’ll have to wait to find out. 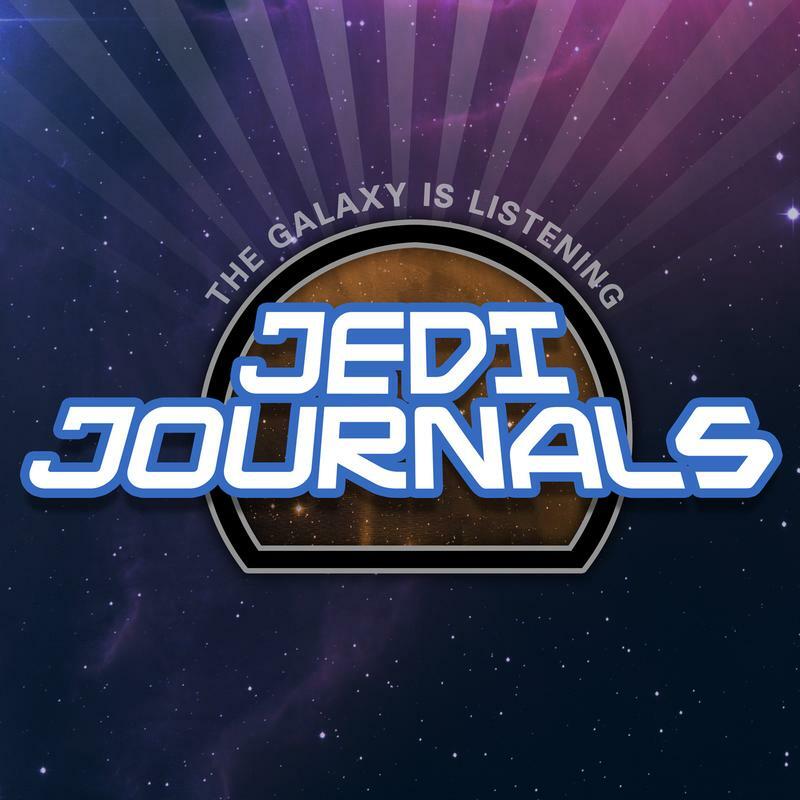 As we approach the end of Season One, each episode will serve its own purpose to the overall goal, so things should be very exciting from here on out! 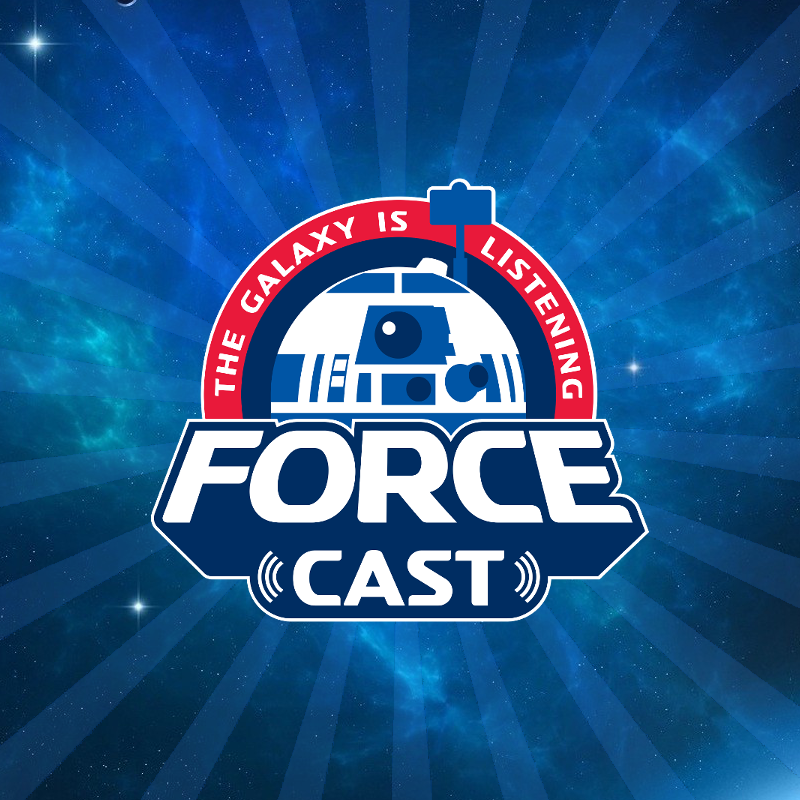 Star Wars Resistance Bucket's List Round-Up! 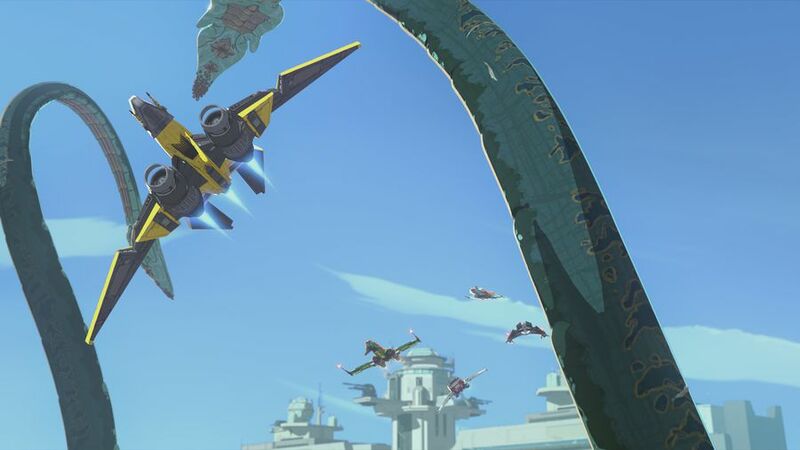 Did Star Wars Resistance Start Too Close To Episode VII? Danger Is Coming To Star Wars Resistance ! 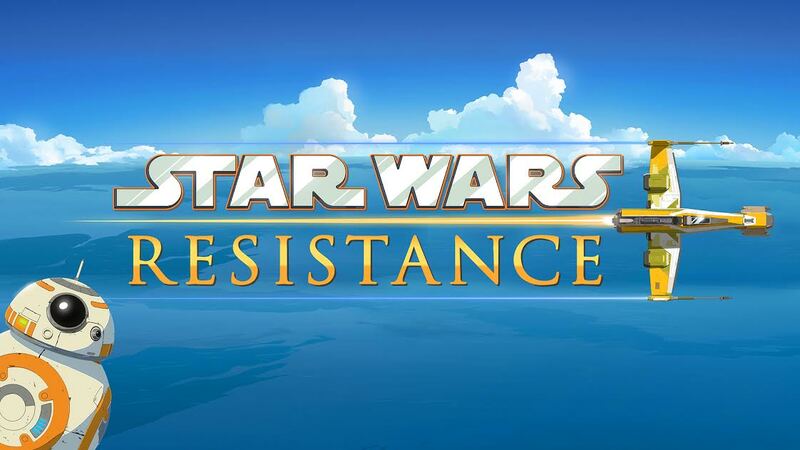 Final Star Wars Resistance Shorts Are Up!